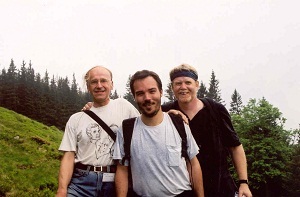 Professor Stephen D. Casey (far right above) is a Professor of Mathematics at American University. He is a founding member of the Editorial Board for Sampling Theory in Signal and Image Processing. His research is in complex and harmonic analysis with applications to signal and image processing. He visited the NWC in the fall of 2010.